This article is guest blogged by Derek Hansen, and cross posted on his website, Running Mechanics. You can view all of Derek’s past guest articles here, with his last article on hamstrings titled Hamstring Pull Recovery: EMS and Weight Training. For a detailed review of his video, see Hamstring Injuries – Risk Factors, Assessment and Rehab video. With football training camps for professional and college teams now behind us, it is worth mentioning that the sheer number of hamstrings strains experienced for the month of August was significant. While some programs accept the hamstring strain as an annoying side-effect of training camp, others are calling me and trying to find ways to avoid these pesky injuries, as well as find ways to speed up the rehabilitation process. Not only do athletes miss valuable reps in training camp, it creates a nagging sense of insecurity for teams trying to figure out their rosters for opening day. Will ‘Player A’ be ready for our first game? Will this hamstring strain be an ongoing problem throughout the season? 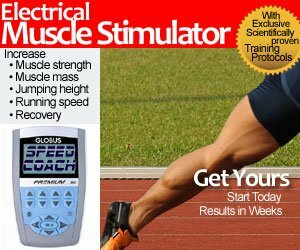 How much money is standing on the sidelines because of hamstring strains? All of these questions are valid and teams need to understand the reasons behind the hamstring strain epidemic. Injury reports and information through the grapevine have confirmed the prevalence of hamstring strains at this time of the year. Neurotic head football coaches put the heat on both S&C and rehab staff to “fix it” as soon as possible. However, the cause of the problem is much bigger than simply the capabilities a few support staff members. In fact, I know of a number of S&C coaches that have become very proficient in rehabilitating strained hamstrings out of necessity. Provided below are some of the primary reasons for the rash of hamstring strains in training camp scenarios, but also some other points on the implications of hamstring injuries early in the season. I would argue that athletes must sprint several times per week in order to condition their hamstrings to resist injury during training camp and regular season scenarios. The act of sprinting – accelerating and transitioning into upright running – places significant demands on the hamstring that are specific to sprinting. The combination of high forces and high velocities, combined with the coordination to switch-on and switch-off the muscles rapidly, can only be developed and optimized through regular sprint training sessions. Additionally, the sprint sessions must be organized with appropriate rest periods to ensure athletes are achieving high-speed efforts with good mechanics on every repetition. This ensures that the muscles are being loaded optimally and positive adaptations are achieved. Additionally, athletes must be provided the other supportive general training elements that bolster strength, strength endurance and overall aerobic fitness. These elements help athletes to resist fatigue – both central and peripheral – allowing them to proceed from rep to rep in good condition without any lapses in posture, muscle cramping or dramatic changes in muscle tone that could compromise range of motion or elasticity. I would argue that an athlete who is in good sprinting shape but in poor overall physical condition would still be in danger of muscle strain if their general fitness and recuperative abilities were poor. Training camp is all about getting more repetitions completed at every position. More repetitions lead to the mastery and better retention of skills and plays, as well as a more comprehensive means of evaluating players and formulating a depth chart. Players are competing for a roster spot and their livelihood. However, time is limited and coaches are constantly trying to compress more repetitions into a shorter amount of time to get more “bang” for their training camp buck. Factor on top of that the trend toward more up-tempo offensive schemes, the picture becomes clear: “Coaches want athletes to run faster, more frequently with less recovery.” Why wouldn’t they? The downside of this approach is more muscle injuries. As muscles fatigue and are placed under repetitive stresses at a high intensity, the risk of injury begins to skyrocket. A number of years ago I wrote an article entitled, “How Many Reps are Enough?”, where I discussed the importance of determining the optimal number of reps for adaptation (and injury avoidance) for any given training activity, particularly where skill is combined with high intensities. For anyone involved in optimizing the training of an athlete, the article made perfect sense. However, football coaches do not operate under the same parameters. The optimal number of reps is always, “as many reps as we can cram into the time allotted.” Of course, this is a recipe for injury and, surprisingly, coaches are often bewildered when they get the injury report with the long list of players with hamstring strains in the meetings following practice. I honestly don’t understand why they are surprised. It happens every training camp. I thought that coaches would simply chalk it up to, “The cost of doing business.” Yet they still act surprised. Despite what football coaches may think or want to believe, muscles, tendons and ligaments have a finite capacity. So does the human brain. You can only get so much productivity and quality out of these anatomical structures. Until coaches face this reality, there will continue to be an undesirable quantity of injuries in training camp scenarios. Artificial surfaces – despite the claims made by turf companies – are harder on the human body than natural grass. When you don’t slip and slide, even slightly, the stress is transferred to the human body in ways that were never experienced prior to the existence of artificial grass-turf surfaces. One could even argue that Astro Turf was less damaging, because the cleats used on that particular surface were not nearly as long as the cleats used today. But when you think of artificial surfaces, you think of injuries to the feet, ankles, knees and toes – not hamstrings. So how do artificial surfaces negatively impact the hamstring? As I mentioned in the previous paragraph, the stress of decelerating, turning and changing direction quickly on an artificial grass surface is transferred upwards through the body. A hard cutting movement that would often result in torn natural grass places significantly greater stresses on the ankle and knee joints on an artificial grass surface. If athletes have their ankles taped, the knees experience even higher forces. Although strong quadriceps are critical in protecting the knee during such movements, the involvement of the hamstrings in supporting the knee also play an increased role. The repetitive stresses of accelerating and decelerating on these artificial surfaces fatigues the hamstring significantly, exacerbating the potential for strain, particularly given the many other factors already discussed in this article. With real grass, there is also less stress placed on the hamstring on touch-down during the stride cycle, as well as at toe-off – because of the dampening effect of the forgiving natural surface. Artificial surfaces provide a more jarring impact and more dramatic release at toe-off. This became apparent in the sport of Track and Field when athletes made the transition from cinder tracks to rubberized surfaces. More soft-tissue injuries were previously experienced because the surface change allowed athletes to run faster than they had ever run before. Given this fact, consideration must be made for a reduction in volume on artificial surfaces or a scheduled rotation of surfaces – natural and artificial – during training camp. Many research papers have already shown that the most significant predictor of hamstring injury is previous hamstring injury. Coaches and conditioning staff should take heed when individualizing programming for players that have had a history of hamstring strains. No functional movement screen will detect the potential for this injury. However, talking to an athlete will usually provide some useful information. “Hey, have you ever had a significant hamstring strain in the last few years?” Not a very difficult question to ask. What you do with the player’s response, however, could mean the difference between a successful training camp for that player, or one that is plagued with repeated hamstring strains. If a player indicates a history of significant previous hamstring problems, what should you do? The simple answer is to determine whether or not they have accumulated the appropriate amount of sprint training in the off-season. If the player indicates that intense acceleration and sprint work had been done over the off-season training period, less action is required. Performing repetitive high-speed sprint work not only strengthens the hamstrings for training camp reps, it also tells you that this athlete can undertake consistent sprint efforts without incident. For these athletes, I would still recommend additional massage and recovery work between practice sessions to keep the hamstrings and connecting muscle groups (i.e. glutes and calves) supple. For players that have not put in the appropriate volumes of sprint work in the off-season, gradual progressions of sprint work must be completed, as well as a plan for the gradual integration into drills and position reps. Given the competitive nature of the training camp environment and the impatience of coaching staff, I doubt that anyone would go for this approach unless dealing with a super-veteran that must be handled with care. Despite what many strength and conditioning coaches may list as their qualifications, there are not too many out there that are comfortable integrating quality speed training into an overall training program. Strength coaches feel comfortable in a weight room/gym environment. Whether they follow a philosophy based on Olympic lifting, power-lifting, cross-fit or functional training, the work in the gym will form the larger proportion of their work. Running often assumes the form of conditioning runs (intervals, suicides, gassers, etc.) or repetitive agility drills that do not really involve high speed running. Additionally, pulling or pushing sleds does not qualify as high-quality speed work. In order to improve an athlete’s speed capabilities, you need them to run at or near their best (95-100% of their best time) on a frequent basis. In an explosive sport such as football, athletes are often required to make game changing sprints, whether on offense, defense or special teams, at the highest intensity possible. Preparing their hamstrings and other muscles involved in this effort requires at least two to three sessions per week of high intensity sprinting over a 10 to 12 week period. These sessions not only strengthen muscle and connective tissue, but also develop the skill and coordination required to execute these high velocity movements efficiently and precisely. Poor timing and limb positioning at high speeds can be hazardous, particularly if the involved tissues have not been exposed to these types of forces and velocities. The weight room alone is not sufficient to prepare the hamstrings in this manner. If anything, an excessive emphasis on glute-ham raises, Romanian dead-lifts or hamstring curls can significantly bind up and fatigue the hamstrings and place the athlete in a more precarious position when it is time for them to sprint. All of these types of lifts can be used to supplement the strengthening provided by the sprinting workouts, but should never replace actual sprint work. Experience has also shown that all speed work must precede lifting when ordering activities on a workout day to ensure the hamstrings are supple and not fatigued for high-speed running. Strength and conditioning coaches must be competent and comfortable in teaching athletes how to sprint properly and how to best integrate sprint training into an overall program. This may mean leaving the weight room and getting out onto the field or track for consistent high-quality linear speed work that doesn’t involve agility ladders or vomit buckets. Given that the best means to prepare a hamstring for the rigors of sprinting is actual sprinting, it follows that an optimal hamstring rehabilitation program must include a progression of sprinting. However, I only know of a handful of physical therapists that actually incorporate running as part of the early rehabilitation process. It is important to note that these therapists have certification and experience in the field of Strength and Conditioning. Some athletic trainers and physical therapists rely too heavily on cryo-therapy and basic modalities (i.e. ultrasound, TENS, interferential), as well as sub-maximal exercises that do not adequately strengthen the hamstring for sprinting. Athletes go through three to four weeks of this type of rehabilitation only to find out they are not strong enough to return to play, or they re-injure shortly after returning. Until physical therapists incorporate a systematic approach of progressively faster and long sprint intervals – with an emphasis on proper running mechanics – into their rehabilitation routine, athletes will have inconsistent and incomplete rehabilitation experiences when it comes to hamstring injuries. Unfortunately, learning how to implement a successful hamstring rehabilitation program that includes sprint training takes some effort on the part of the therapist. They must come to understand the concept of progressive loading, sprint biomechanics and the optimal selection of velocities for different phases of the rehabilitation process. They must also be able to take one look at an athlete during the running motion, diagnose the problem and provide the right cue to correct the issue. These are not skills that are learned overnight. Thus, it is recommended that athletic trainers and rehabilitation staff integrate their services with a Strength and Conditioning professional that is well experienced in the implementation of sprint-based training and rehabilitation programs. If we are to move beyond the hamstring epidemic during training camps, we must first acknowledge the many factors that contribute to the problem, and not simply point fingers when the injuries accumulate and become inconvenient. Athletes and coaches must understand that steps have to be taken to ensure that proper training over an extended period of time must precede the training camp period and smoother progressions have to be implemented during the early stages of training camp. This type of approach is not just isolated to hamstring injury prevention. It can contribute to the prevention of many muscle and joint related injuries. Walking the fine line between accumulating enough practice reps and losing a key player to injury in the first few weeks of training camp is a precarious one. The teams that can achieve a balance in favor of positive adaptation, while avoiding unnecessary over-reaching, will be more effective throughout the entire season as well as healthy and prepared for post-season success. Hamstring injuries will inevitably be a part of every training camp scenario where athletes are running fast, time is at a premium and competition runs high. However, reducing the incidence, severity and impact of hamstring injuries can be easily accomplished with an organized approach and a few well-placed interventions. Very well said, Derek. I will add this… a major role of the hamstring is deceleration of the lower leg as you come to the end of the recovery phase. Therefore, eccentric strength is of vital importance in the prevention of hamstring injuries. I guess those coaches weren’t satisfied with the no pain no gain philosophy so they upgraded it to no strain no gain instead of the “no strain, smart gain” one. Brilliant write-up. Since i’ve been running for my club, i have never seen Coaches sit down and check on individual’s fitness or previous injuries nor a good reha programme. I get injured easily due to the fact that specific drills are done for all ages at all times. I think i need to start thinking about my own body and how best to use it. I can’t afford to keep getting injured all the time. I have to listen to my body, then gradually work on my stregthening and conditioning over a long period of time rather than the short fix. This article has opened my eyes to things in varous view-point. I have alos had talks with Jimson, and i am hoping to take on board his advise and put into practice next season.